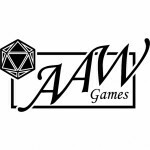 How can I get started publishing tabletop roleplaying games?, How did AAW Games get started?, Jonathan AAW Games, Jonathan Adventure-A-Week, Jonathan Adventureaweek, Jonathan G. Nelson, Who owns AAW Games?, Who owns Adventureaweek.com?, Who works at AAW Games? A gig in Los Angeles. My name is Jonathan G. Nelson, I’m the owner/publisher of AAW Games and here today to tell you a bit about myself. I am nearly 40 years old and have packed a lot of different experiences into my life such as touring the US with a professional rock band, working as a sous chef for various restaurants, and now writing and publishing for my company AAW Games /Adventureaweek.com.You may already know AAW Games via our best-sellers, Mini-Dungeon Tome, Rise of the Drow, Underworld Races & Classes, Into the Wintery Gale, and Snow White. Our company has branched out over the years and currently produces adventures, maps, and more for Dungeons & Dragons 5th Edition, Pathfinder Roleplaying Game, Savage Worlds, and the Starfinder Roleplaying Game. How did I get here? That question prompts a very lengthy and involved answer so I’ll try and keep things short and sweet. When I was about 8 years old my friend’s Aunt and Uncle brought us a well-used copy of the D&D red box and some funny looking, albeit colorful dice; that started it all, we had no idea what we were getting into but adopted some loose rules and just learned as we went along. From that point on, Dungeons & Dragons would become a staple of my life, influencing many of the professions I would obtain and relationships I would foster. The journey of life eventually led me to cross paths with Todd Gamble, one of the main cartographers at Wizards of the Coast. Todd created maps for the D&D 3.5 core books, Forgotten Realms Campaign Setting, Return to the Temple of Elemental Evil, and many other iconic tomes. Todd’s first love was model scenery and as he taught me some of this craft, we became good friends. An early advertisement for the site. As the company grew so did our fanbase which demanded we produce books in PDF and print, so of course, we obliged. AAW Games and Adventureaweek.com have come a long way over the years but I’ll never ever forget those people who made it all possible be they friends, foes, fans, or fictitious figures from fantasy, every single one made a mark and an important contribution to help bring us to where we are today. Remembering the greats who came before me and those who helped me along the path is the first step toward fully finding myself and all that I’ll do before I leave this world. I frequently ask myself: What kind of difference am I making in other people’s lives? Why do I do what I do? What is the purpose? The answer typically comes quickly when I question the universe on such things, I want to bring joy into people’s lives. I want others to experience everything that I love about the Dungeons & Dragons game and continue to share it with their friends and family, carrying the torch and keeping the game alive for future generations. Snoqualmie Falls in my hometown. It’s been nearly 8 years to the day since I first proposed the idea for the website (December 13th, 2010), 6 years since the launch, and the ride just keeps getting wilder. I have a lot of experience to share, especially since I started down this path with only the skills of a Dungeon Master. Like many things I’ve learned in life, I just dove in headfirst and learned as I went. Sometimes you get hurt diving into the pool of life so recklessly but trust me, if you have the drive and creativity, you’ll not only survive but learn how to swim and navigate these waters, sharing your gifts with the world. Feel free to ask me questions about anything under the sun. I’m here for you!